Race into the heart of the world’s most prestigious motorsport. Get behind the wheel of the most incredible racing machines on Earth and fight for pole position in the F1 2016 racing calendar. Immerse yourself in the life of an elite F1 driver from the thrill of speeding through all 21 tracks in the 2016 season – including the newly added Baku circuit in Azerbaijan – to the drama and developments that go on behind the scenes of a driver’s career. Line up against 22 racers from 11 teams – including the new Haas F1 Team – and work alongside your engineer and teammates to develop your car, and forge your path to the podium over a 10-season career. Race against friends and rivals online and claim glory on the global leader boards – only with PlayStation Plus. 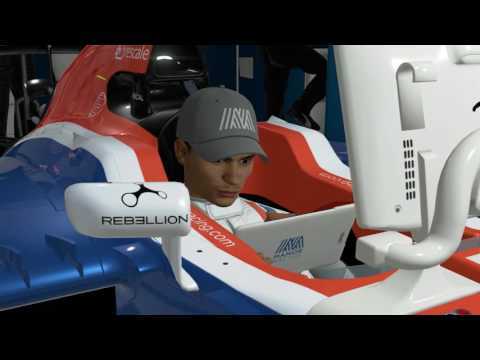 F1 2016 Game - an official product of the FIA FORMULA ONE WORLD CHAMPIONSHIP. © 2016 The Codemasters Software Company Limited ('Codemasters'). All rights reserved. 'Codemasters”®, “EGO”® and the Codemasters logo are registered trade marks owned by Codemasters.